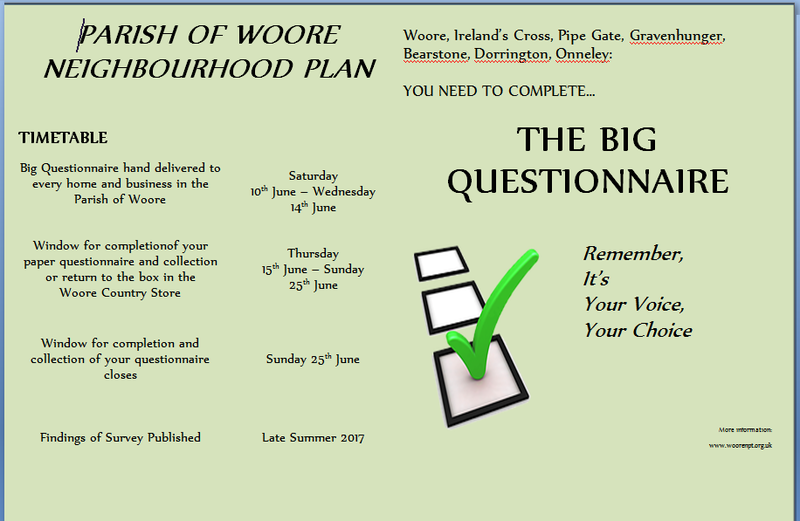 The question which will be asked in the Referendum is: “Do you want Shropshire Council to use the Neighbourhood Plan for Woore to help it decide planning applications in the neighbourhood area?” All registered electors in the Parish may vote - postal votes will be issued to those registered for them. The final version of the Plan, to be voted on, and Shropshire Council's Notice of Poll can be downloaded below. The Examiner's Report has now been published by Shropshire Council and is available on this page. Shropshire confirms the matter is on the Cabinet Agenda for 20th March 2019, following which, if agreed, we understand the Referendum must be held within 56 working days (by mid-June 2019). The Team notified Shropshire Council that it supports proceeding now to a referendum on the Plan as amended, and the Parish Council also did so at its January meeting, unanimously agreeing “Woore Parish Council supports the conclusions of the Examiner's report into the Neighbourhood Plan, and agrees that there may be a need for Shropshire Council to provide additional minor clarifications to the examiner's proposed modifications in order to ensure internal consistency between the Examiner's conclusions and the resulting policies of the Neighbourhood Plan”. We are delighted to announce that on Friday 10 August, by agreement with representatives of the Parish Council and Neighbourhood Planning Team, Shropshire Council was able to make the appointment of Mr John Parmiter as Independent Examiner of the Draft Neighbourhood Plan for Woore Parish. 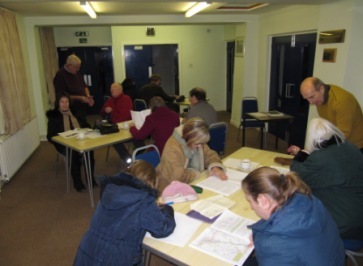 He is an experienced Examiner, who has already fulfilled this role for other Shropshire Neighbourhood Plans. We now await his comments, which might be available in the course of October, in line with the timetable we have been working to. Click on the 'How to get involved' tab on the page. Representations must be received by Shropshire Council no later than 5pm on Tuesday 24 July 2018. Representations received after this date won't be considered. Consultation statement.pdf - includes comments made at the first stage of consultation, and the Team's responses. The Team worked through responses received in the consultation on the draft Plan, determine their view on each, and how to incorporate those which are accepted in the next draft. Many thanks to all who attended the session in the Victory Hall for their comments and support - over 20 parishioners were present. Get involved - complete and return your copy!